There are several ways to beat the market, and investing in small cap stocks has historically been one of them. We like to improve the odds of beating the market further by examining what famous hedge fund operators such as Carl Icahn and George Soros think. Those hedge fund operators make billions of dollars each year by hiring the best and the brightest to do research on stocks, including small cap stocks that big brokerage houses simply don’t cover. Because of Carl Icahn and other successful funds’ exemplary historical records, we pay attention to their small cap picks. In this article, we use hedge fund filing data to analyze Banner Corporation (NASDAQ:BANR) . Banner Corporation (NASDAQ:BANR) saw a slight decrease in activity from the world’s largest hedge funds last quarter. Among the funds we track at Insider Monkey, 16 funds held shares of the company at the end of September, compared to 17 funds a quarter earlier. The level and the change in hedge fund popularity aren’t the only variables you need to analyze to decipher hedge funds’ perspectives. A stock may witness a boost in popularity but it may still be less popular than similarly priced stocks. That’s why at the end of this article we will examine companies such as Nexstar Broadcasting Group, Inc. (NASDAQ:NXST), Euronav NV Ordinary Shares (NYSE:EURN), and AAON, Inc. (NASDAQ:AAON) to gather more data points. With all of this in mind, we’re going to check out the recent action regarding Banner Corporation (NASDAQ:BANR). What have hedge funds been doing with Banner Corporation (NASDAQ:BANR)? At the end of the third quarter, a total of 16 of the hedge funds tracked by Insider Monkey were long Banner Corporation (NASDAQ:BANR), down by 6% from one quarter earlier. 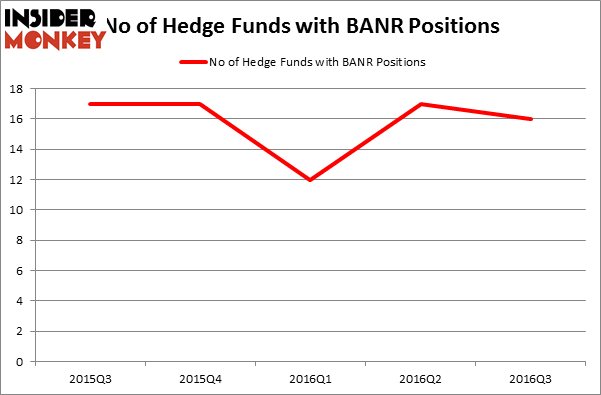 Below, you can check out the change in hedge fund sentiment towards BANR over the last fiveee quarters. So, let’s see which hedge funds were among the top holders of the stock and which hedge funds were making big moves. According to publicly available hedge fund and institutional investor holdings data compiled by Insider Monkey, Howard Marks’ Oaktree Capital Management has the largest position in Banner Corporation (NASDAQ:BANR), worth close to $108.2 million, accounting for 1.4% of its total 13F portfolio. Sitting at the No. 2 spot is Basswood Capital, led by Matthew Lindenbaum, which holds a $26.1 million position; the fund has 1.2% of its 13F portfolio invested in the stock. 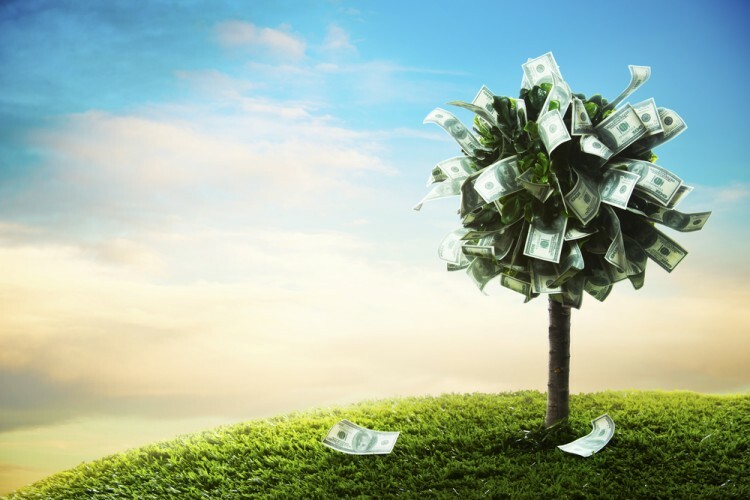 Remaining members of the smart money that are bullish include Emanuel J. Friedman’s EJF Capital, Jim Simons’ Renaissance Technologies, and Mark Lee’s Forest Hill Capital. We should note that none of these hedge funds are among our list of the 100 best performing hedge funds which is based on the performance of their 13F long positions in non-microcap stocks. Is Cohu, Inc. (COHU) A Good Stock To Buy Right Now? Is 2U Inc (TWOU) A Good Stock To Buy? Hedge Funds Are Selling Concordia International Corp (CXRX) Is Cryolife Inc (CRY) A Good Stock To Buy? Is Tobira Therapeutics Inc (TBRA) A Good Stock To Buy? Is Bottomline Technologies (EPAY) A Good Stock To Buy?